If you feel like you know the Barton Creek Greenbelt like the back of your hand, maybe it’s time to check out one of Austin’s other great hike and splash trails. 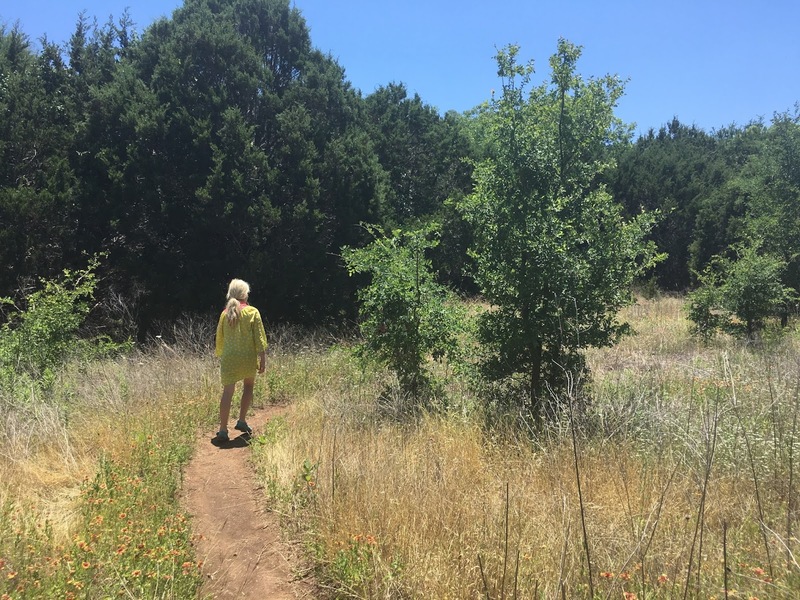 Tucked away on scenic Old Spicewood Springs Road, St. Edward’s Park is a lovely 80-acre gem that offers something for toddlers, teenagers, and even the family dog. The park’s primary appeal is that Bull Creek runs through it, providing spots for little ones to splash in the shallows and bigger ones to fly off a rope swing, jump from a small dam or hop across strategically placed rocks. Fishing rods and minnow nets are totally apropos, and a mid-creek picnic would be an ideal way to fritter away a summer lunch hour. 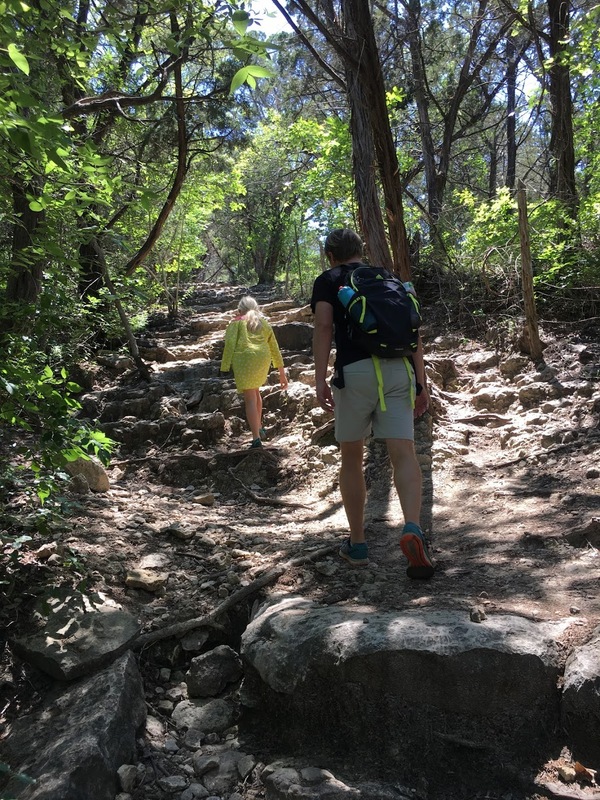 If you want to earn your dip in Bull Creek, St. Edward’s Park has about 3.5 miles of hiking trails that can easily be navigated in a way that suits the least motivated hiker in your group. There are two main paths: the Creek Trail and the Hill Trail. The Hill Trail is the tougher and longer of the two while the Creek Trail takes you exactly where you’d imagine—along Bull Creek. Though the hikes don’t cover great distances, you’ll see lots of different scenery. From pretty wildflower-filled meadows and a giant cactus patch to limestone outcrops and steep, rocky but shady hills, there’s little chance of getting bored with the view. Both trails are frequently marked with signage, but it’s possible to get somewhat “lost” as there are many offshoots from the main trail. 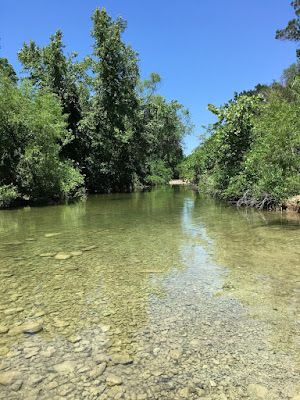 Even so, if you take note of where you are in relation to Bull Creek, it isn’t difficult to find your way back to a main path. Whether you decide to hike both trails in total or simply walk the few hundred yards from your car to the creek, your family can have hours of fun at St. Edward’s Park. The park is located west of 360 at 7301 Old Spicewood Springs Road. The short drive feels surprisingly, wonderfully rural given its proximity to the highway, and you’ll soon find a tiny parking lot on your left a few miles down. Just a bit further is the main (only slightly larger) parking lot, and cars can also park on the shoulder of the road if necessary. Bring: Leashed dogs, sturdy shoes, sunscreen, water and snacks. FYI: There are no toilet facilities in the park.